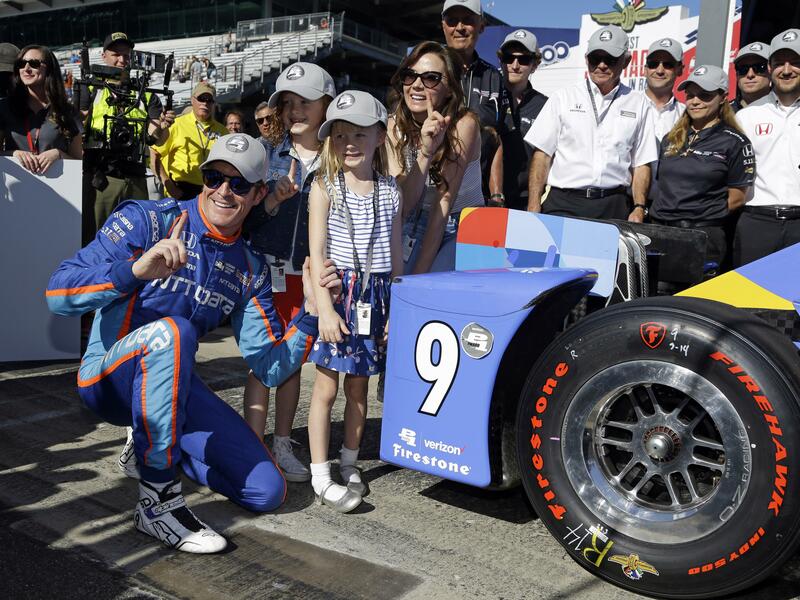 Mon., May 22, 2017, 9:30 p.m.
INDIANAPOLIS – After winning the Indianapolis 500 pole, collecting a $100,000 check and doing the usual interview circuit, Scott Dixon tried to relax. Neither was injured and two boys, ages 15 and 14, were arrested a short time later. The robbery happened shortly before 10 p.m. less than a mile from one of the world’s most famous racing venues, where Dixon had just earned the top starting position in IndyCar’s showcase race coming up on Sunday. Police did not immediately disclose what was taken from the two drivers. While the notion that one of IndyCar’s biggest and best-paid stars was making a late-night fast food run seemed odd to some, that wasn’t the case in Gasoline Alley where Dixon is one of the most respected drivers. Clearly, Dixon isn’t the only IndyCar driver with a hankering for fast food. American Graham Rahal is currently sponsored by Steak `n Shake and has previously been sponsored by McDonald’s. Four-time 500 champ Rick Mears celebrated his first victory, in 1979, at Wendy’s. Former Indy pole-winner and three-time NASCAR champ Tony Stewart made no secret of his craving for burgers. And former NASCAR driver Larry Foyt said it’s no different down South. Dixon declined to comment on Monday. He is scheduled to appear Tuesday in Toronto as part of the series’ media tour – and he’s likely to be peppered with questions about what happened. Until then, Ganassi and his team are not talking to reporters so they can focus on getting ready for Sunday’s race. It sure didn’t affect him Monday. The New Zealander posted the third fastest lap of the day at 227.165 mph. About 30 minutes later, the report said, officers stopped the car and the passenger fled. He was apprehended by a police dog. One of the suspects was taken to Marion County Holding at Eskenazi Hospital while the other went to the local juvenile detention center. Police said one of the suspects was identified by one of the robbery victims. The Marion County Prosecutor’s Office will review the case and make a changing decision. Dixon won the 2008 Indy 500 from the pole. He is fourth all-time on the series’ career list for wins (40), is tied for second in most series championships (four) and is now one of five drivers to win the Indy pole three times. He also is a friend of longtime teammate Franchitti, a Scot who was forced into retirement following a serious crash late in the 2013 season at Houston. Franchitti won 31 IndyCar races, tied for ninth all-time, and like Dixon won four series titles. Franchitti and Brazil’s Helio Castroneves are the only foreign-born drivers to win the Indy 500 three times. “We’re all very relieved to hear that everyone is safe and that the suspects were caught,” Taco Bell Corp. spokesman Rob Poetsch said in an email. Published: May 22, 2017, 9:30 p.m.